Start or extend your PM career with extensive training & corporate resources. Your dream job If you like order & systems, have some admin experience, are ready for a serious career and want loads of training & support. WHY JOINING PRDNATIONWIDE IN OATLEY IS YOUR DREAM COME TRUE? If you are serious about your career and are looking for a role that will give you variety, is administrative but with plenty of contact with the public, this could be your dream job. We are growing the Property Management function within our business and are looking for serious local professionals to bring their organisational prowess to the real estate industry. We also welcome applications from experienced PM’s wanting to join an office closer to home or administrative staff wanting to step up to Property Management. Same place you’ve been for years – trying to get a break? Tired of retail or hospitality but still enjoying the customer contact? Looking for a long-term career that uses your creativity and is at the forefront of business technology? Wanting to feel like you are contributing to your community, like your efforts to help will be remembered for more than a few minutes? You know us. 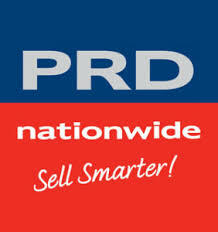 PRDnationwide is Oatley’s longest running and most reputable office. We have been on the clock tower corner since the early 80’s with only one ownership change, when the retiring owner sold to his longest-serving employee, James Walters. You could not have continued to grow and prosper that long without a commitment to service, which in our industry, also means innovation. Real Estate is at the forefront of technology usage and innovation. We continue to evolve and perfect our systems to meet consumers expectations as well as to reduce systems complexity for staff. It’s a fine balance of improvement and stability to ensure we provide exceptional service in a sustainable and rewarding workplace. Our Principal James Walters has created a genuine team structure by supporting every new member as if they are family. Providing training, resources and his patient oversight to allow each one to develop at their own speed and to their fullest potential. Like other families, we can jostle internally but we always pull together when it counts. As well as the entire office working as a team we also manage our properties in partnerships of two Property Managers. This means initially there will be someone by your side every day to help and guide you. Longer term it gives us more flexibility to attend training or take holidays and continue to provide the best service without work piling up in your absence. Your partner experienced Property Manager will introduce you to every aspect of your job and oversee your work until you feel confident to take full responsibility. PRDnationwide is a Registered Training Organisation, allowing the company to present compulsory real estate training qualification courses with a strong culture of sharing and learning to promote both personal and business growth. To learn our systems and software we have access to specialist online training material as well as regularly bringing in trainers or sending you to Sydney based courses. If you are new to our industry we can also support you through a TAFE apprenticeship program to attain a full real estate license. Work locally within your community. Swap the nightmare daily commute for a view of Oatley’s beautiful Clock Tower reserve and participate actively in your community helping landlords manage their investments and tenants find their next home. Real Estate skills are global. Property Management is an Account Management style of selling, a valued skill in many industries. Success comes from being comfortable working with well-defined processes and systems in a timely and planned manner while still having plenty of client contact and the satisfaction of helping people. Unlike the sales agents, there is no prospecting or sales targets just a focus on providing quality service. Only Australian real estate franchise owned and supported by one of the world’s largest commercial publicly owned real estate companies; Colliers International. It supports PRDnationwide through capital investment, business networks, career opportunities, intellectual resources and knowledge systems. Extensive global experience and shared corporate resources allow us to be continuously evolving our information technology and time to innovation our systems and processes leaving you free to focus on your clients. We need to know you are inherent suited to working within a sales organisation. How can we get an idea of this before you can demonstrate it on the job? Our use of technology leadership includes an online sales assessment. Not only will it answer this fundamental question for us, but it means if we offer you a position you can confidently plan a long-term career with us. Clean current driver’s license P or Full. So, if you would like to talk to us about your future please press the APPLY FOR THIS JOB button below. Follow the on-screen prompts and complete the questionnaire. AFTER the questionnaire please click on the Upload Résumé button to load both a résumé and cover letter. Please save your documents in .pdf format so we can view them from any device. This entry was posted in and tagged get a job in Property Management, Get a job in real estate, jobs in oatley, trainee property manager, traineship in real estate sydney by Maya Saric. Bookmark the permalink.